At least once during your childhood, you probably got a knockoff toy as a gift. Some well-meaning relative (let’s be honest, usually your grandparents) tried to buy what you asked for, but instead came home with some cheap, Taiwanese version of your favorite toy. While a lot of these toys were just as good, as a child it’s hard to appreciate getting a “Spader-Man” action figure. But hindsight is 20/20, and now that I’m older I wish my parents had bought some of these outrageously silly toys. The iconic GMC Vandura driven by America’s favorite soldiers of fortune is a part of TV history. But, does it include a giant Mr. T, popping his head through the roof and swinging an axe around? We think not. Even as a child, Thomas the Tank Engine would put me to sleep. Unless you were the kind of kid who really loved trains, this show was like Ambien for toddlers. If the show were more like this toy, where Thomas and his friends combine to form a Voltron-style fighting robot, it probably would have held my attention. Ah of course, what Star Wars fan could forget Han’s classic appearance alongside Darth Maul and C-3PO. 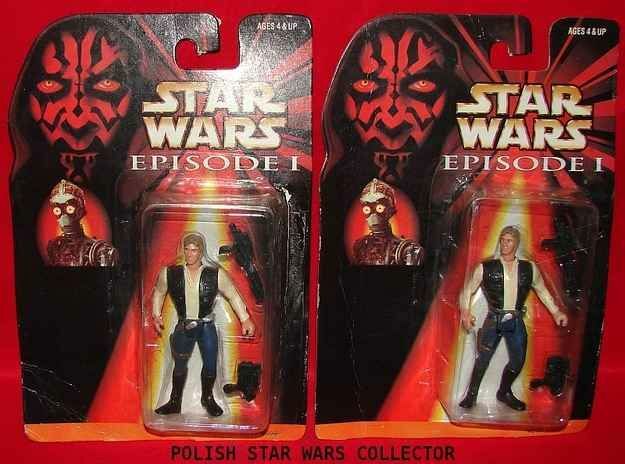 We should probably just give this toy-maker credit for picking 3 characters from the same series. Click the next page for even more hilarious knockoff toys! 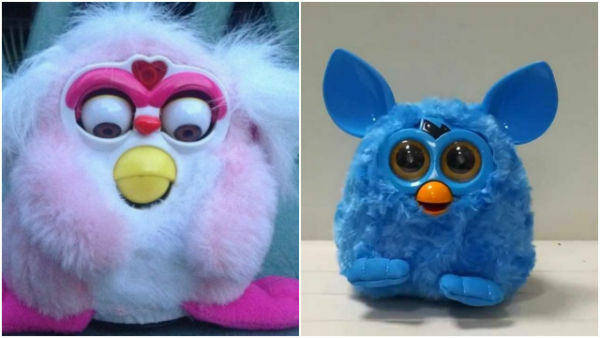 You have to hand it to the Mow Gwai, these toys manage to actually be a double knockoff, because they’re obviously modeled after Furby, but their name is a reference to the cuddly characters from gremlins. Meanwhile, the Phoebe toys don’t look anything like Lisa Kudrow. Somebody must have made a big mistake down at the factory! This G.I. Joe ripoff is actually famous in its own right. It was made using the original molds for the Joe doll, until Hasbro sued the company. It only stopped being produced for a handful of years, before cropping back up in the 70s with a new hairdo as a disguise. We have so many questions. As far as we can tell these toys aren’t teenage or mutant, and they’re probably not turtles because it just seems like they’re wearing helmets. As for ninjas, they look more like they’re taking kids’ karate classes based on their outfits. In case you needed an uplifting message to get through the day, this toy has you covered. The figure on the packaging is Bolaji Badejo, the 7-foot-tall actor from the original Alien movie. Just don’t ask us what the flesh-colored toy next to him is supposed to be. When Pacman ghosts are invading your city, who’re you going to call? You might as well phone the police, because it seems like the Spook Chasers are only equipped with long sticks to herd the “spooks” around with. Click the next page for even more knockoff toys! Since he was first spotted by eagle-eyed fans years ago, Robert Cop (no relation to Robocop) has become a minor celebrity of his own. Fans have even produced t-shirts honoring the figure. What is it about Robert Cop that drives fans wild? Maybe it’s how he’s so approachable. After all, he lets everyone call him by his first name! We don’t know why, exactly, Darth Vader would need to ride around on a motorcycle. Or why, for that matter, the bike would say “police.” We’re not even sure what that bike’s “mystery bump-n-go action” means. All we know is that Star Knight is incredible, and we hope he has a cameo in The Last Jedi. Another Robert? This toy combines 2 of the coolest TV shows of the 1980s: Knight Rider and Transformers. That bizarre combo actual makes some sense, excepts for the glaring rainbow color-scheme. I don’t remember exactly when character actor James Spader took over as New York’s favorite web-slinger, but he did a pretty bad job of hiding his identity. At least he was more exciting than the Outdoor Heroes line, which featured Spider-Man fishing in a Tom Sawyer get-up. This is the ending James Cameron originally had in mind – the ship transforming into a giant killer robot – but he would have gone over-budget, so the movie had to be reworked. Okay, not really, but I wish! Share this post if you remember any of these toys!